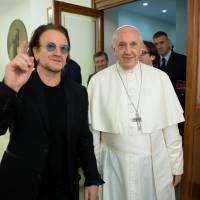 VATICAN CITY - U2 front man Bono said he could see the pain on Pope Francis’s face on Wednesday when he told him “it looks to some people that the abusers are being more protected than the victims. Past abuse scandals have badly damaged the image of the Catholic Church in Ireland, where Francis traveled for two days in late August and “begged for God’s forgiveness. The trip, which was met with some protests by victims, was overshadowed by a former ambassador to the Holy See’s claim that Francis personally ignored sexual abuse allegations against a prominent U.S. cardinal. 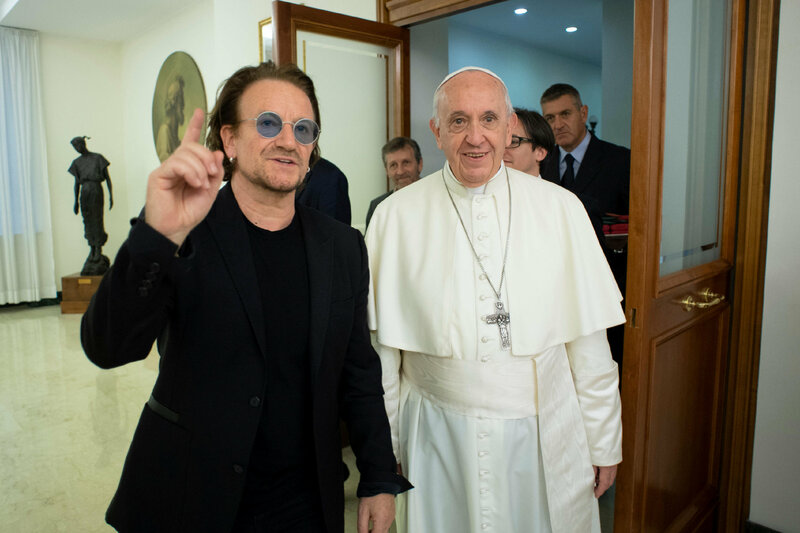 Bono, 58, said he also spoke to the Argentine pontiff about “how we have to rethink the wild beast that is capitalism” which “though it is not immoral, it is amoral. The singer has a long history of promoting charity, and in 2004 co-founded ONE, which describes itself as a campaigning and advocacy organization trying to end extreme poverty and preventable disease, particularly in Africa.